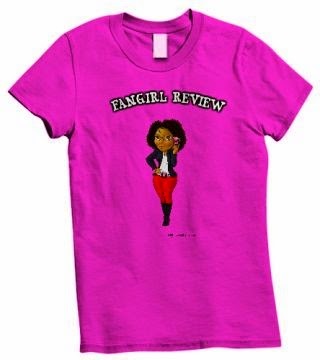 Fangirl Review: Teen Titans Go! : Eat. Dance. Punch! Season 3 Part 1 - Another season of crime fighting and gut-busting adventures! Teen Titans Go! : Eat. Dance. Punch! Season 3 Part 1 - Another season of crime fighting and gut-busting adventures! After three successful seasons, the popularity of Teen Titans Go! is undeniable and has lead Cartoon Network to aptly brand the network’s Thursday cartoon block as “New Titans Thursday.” On May 31, 2016, everyone will enjoy 26 all-new adventures with DC Comics’ Teen Titans as Warner Bros. Home Entertainment (WBHE) and DC Entertainment release Teen Titans Go! : Eat. Dance. Punch! Season 3 Part 1 on a 2-disc DVD collection $19.97 SRP. 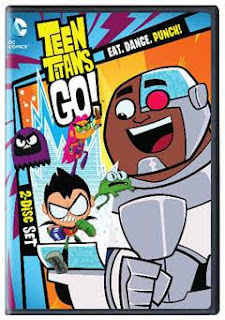 Robin, Cyborg, Raven, Starfire and Beast Boy are back for the latest installment in the Teen Titans Go!series with another season of crime fighting and gut-busting adventures. Hilarity ensues as everyone’s favorite heroes must band together to fight crime and deal with everyday adolescent issues. Whether their capes are on or off, the gang is always up to something!